When you think you heard it all, this comes up. Reindeer? In Scotland? Well, yes. Thereâ€™s a small heard there in the Cairngorm mountains and the Cromdale hills. Any way, he and his teacher stopped by Loch Ness for a few days to see if they could spot Nessie. But the Scottish authorities saw it another Way. They believed he went up there to train as a Jihadist at a paintball training camp. Ahmed, from east London, admits going on camping trips and paintballing sessions with Hamid’s group, who included four of the men later convicted of the plot to bomb London on July 21, 2005. But the trainee electrician, who was 17 when he met Hamid, told Woolwich Crown Court he assumed it was harmless fun “like Scouts or Cadets”. He denies three counts of attending a place used for terrorist training. Just a romp through the countryside. Ahmed replied: “No, it wasn’t. There was lots of joking. It was very beautiful. It was something new. Ahmed said he was told by someone else who went to see Hamid – dubbed Osama bin London – speak in Hyde Park that he organised activities for young people. Aha. Right. Osama bin London. Could this guy be that dim witted? Well â€“ yes. He accepted the terrorists convicted of the July 21 plot were part of the extended group that used to attend Hamid’s events in 2004 and 2005. But he said he was with Hamid on a camping trip in France in the immediate aftermath of the failed bomb attack and did not know his acquaintances Ramzi Mohammed, Hussain Osman and Muktar Ibrahim had been arrested until he returned. He said he later subscribed to a theory that the same anti-Muslim elements were responsible for faking the September 11 attacks on America and the London attacks. I assume he believes in Big Foot too. 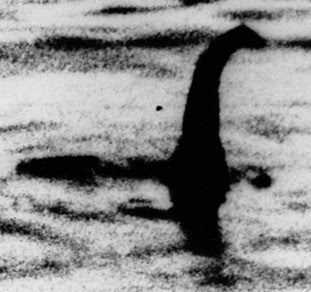 No user commented in " Storm Track Disinformation: Accused Jihadist Uses the Nessie Defense "